What does it mean for you "virtual worlds"? Dear friend, can I have your help? If I say "virtual worlds" what do you think about? Thanks for the message. For me the words 'virtual' and 'world' mean my second life ... a passtime to while away those spare hours. As Josef, virtual world means also for me Second Life. An imaginary world where i could take snapshots from beautifuls sims designed by artists. Not everyone has a reason to come in a virtual world, but everyone has a reason to continue. In some way , virtual worlds could be an opening to the real world or could be a jail. I myself find the oculus rift and Sony's new VR the possible way of the new virtual world, hope it comes soon!! 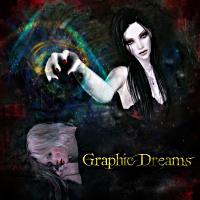 you'll need to join Graphic Dreams. More than 7,000 images added to the group! Eccoci qui! - Here we are!